Below is a collection of FREE School Dance Planning Resources that will help ensure your event is a success! If you have any questions about our services, packages or if you would like a price quote for your event please feel free to contact us today! We’ll get back to you within 24 hours or less, guaranteed! Event planning sheet for school events and also a suggestion sheet of our most popular and most-requested songs for school dances! Below is a link to our School Dance and Prom planning form. We also have links to Our Most Requested Songs and a list of the Most Popular Songs from the past year and also by Decade! If you’re planning a school dance in the York, Lancaster, Harrisburg, Baltimore, or Westminster, Md. areas, here is a list of our most recommended vendors. 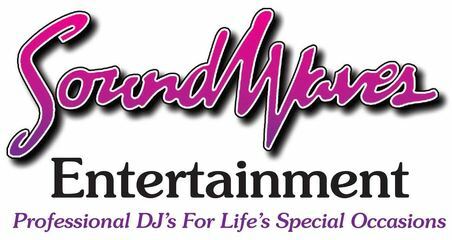 Please make sure you tell them Soundwaves Entertainment sent you! Check out our local list of our favorite preferred professionals. We have worked with these vendors many times and we always enjoy and look forward to working with them at every event. If you’re planning a school dance in the York, Lancaster, Harrisburg, Baltimore, or Westminster area and are looking for a venue for your event, here is a list of our most recommended venues. We are also on the preferred vendors list for these venues! With over 25 years of being the leader in the DJ industry in Central Pa and Northern Maryland, we have some valuable experience that could make planning your event a little smoother. We’d love to share some of our insight with you. Below are links to some prominent venues in the York and surrounding areas that recommend and refer our services! We are also on their Preferred Vendors List!